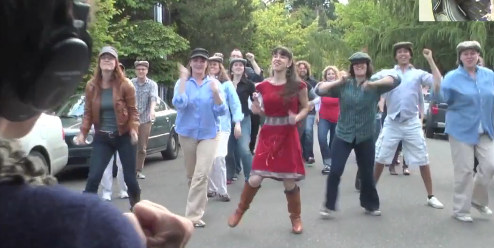 The Lip-Dub: This is the greatest wedding proposal I've ever seen. Makes me want to go back and propose to my wife all over again. Once you’ve watched it once, watch it again keeping an eye on the bride-to-be’s expressions and reactions in the top right corner.